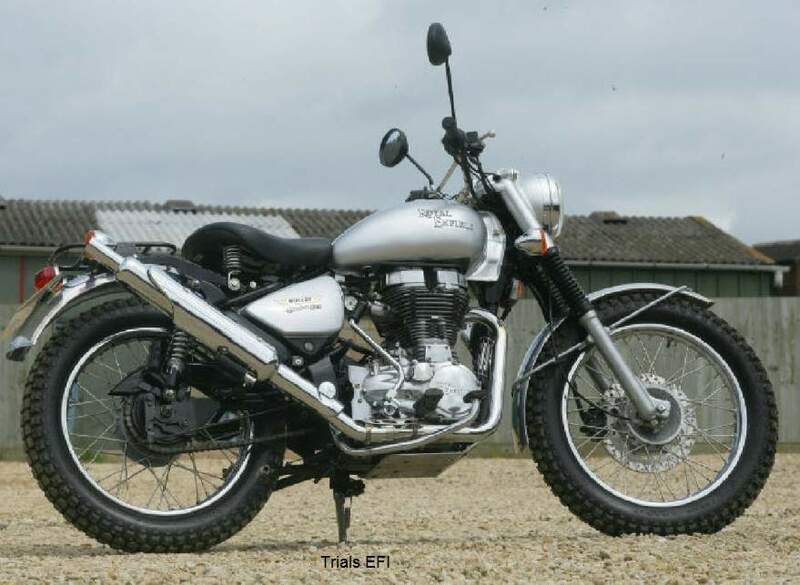 Royal Enfield have given their popular Trials model the new fuel-injected unit construction engine for 2009, along with some other new features too. Inspired by Royal Enfield’s outstanding record of success in the International Six Days’ Trial, during the glory years for British riders between 1948-1953, the Trials is designed to capture the sprit of the ‘unstoppable Bullet’ in a package that will be comfortable to ride on today’s roads. Like the previous Trials model, the EFI version features braced ‘scrambles’ handlebars, alloy mudguards and matching bash plate, new tail light and solo seat. Updates for 2009 include vintage style block pattern trials tyres and a mini luggage rack, for which an optional pillion seat pad is available. 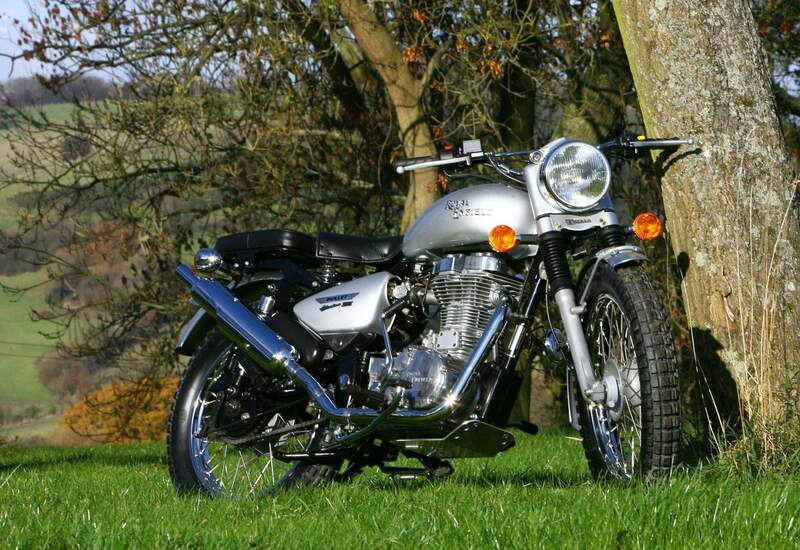 At the heart of the 2009 Trials machine is Royal Enfield’s new fuel injected unit construction engine. This is lighter and more efficient than the original motor, which had a separate gearbox, boosting power to 27.5 HP in standard form while meeting tough Euro 3 emissions requirements. As a result the upswept sports silencer fitted to the Trials bike, which is shorter and lighter than the standard part, has been re-engineered to work in harmony with the engine management unit, allowing the engine to breathe more freely. It features a heat shield too.